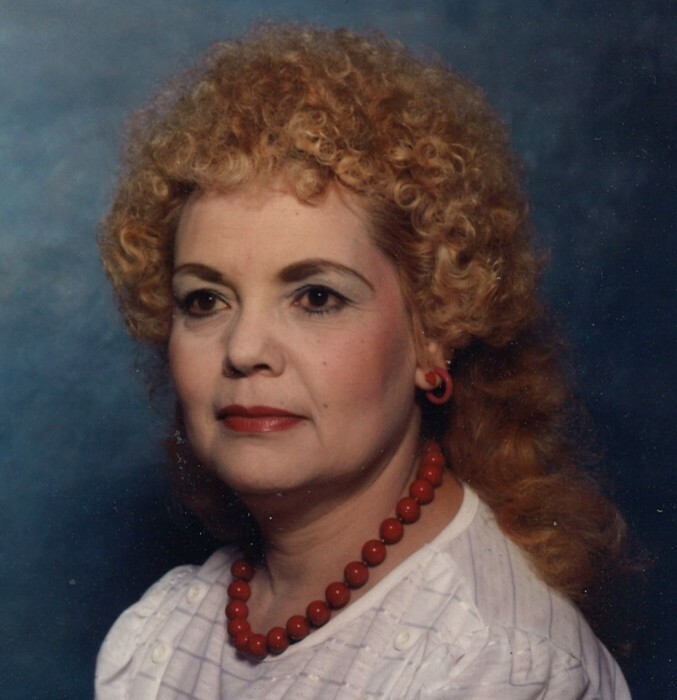 Mass of Christian Burial for Margaret Sandoval will be held at 2:00 p.m. on Friday, October 26, 2018 at St. Mary’s Catholic Church in Las Animas with Father Henry Wertin officiating. Interment will follow in the Bent/Las Animas Cemetery. Rosary will be held prior to the Mass at 1:30 p.m. Visitation for Margaret will be held from 9:00 a.m until 5:00 p.m. on Thursday, October 25, 2018 at Horber Funeral Chapel. Margaret G. Sandoval was born on May 25, 1932 in Las Animas, Colorado to Joe and Jenny (Rodriquez) Trujillo. She passed away on October 22, 2018 at her home in Las Animas at the age of 86. Margaret was a devoted wife to Raymond Sandoval for 58 years and a devoted mother of two boys. She enjoyed gardening and flowers. Margaret had a love of the color purple and Elvis. She was a member of St. Mary’s Catholic Church in Las Animas. Margaret is survived by her sons, Ray Sandoval of Las Animas, Colorado and Rick (Jenny) Sandoval of Aurora, Colorado; sister, Mary Lucero of Las Animas; brother, Valentine (Hope) Trujillo of Littleton, Colorado and Tony (Bonney) Trujillo of Pueblo, Colorado; four grandchildren; six great grandchildren; as well as many other relatives and a host of friends. She was preceded in death by her parents; husband, Raymond Sandoval in 2017; brother, Nester Trujillo; and sister, Betty Medina.